During the 2015-16 financial year, 40% of all enforceable undertakings were in the food services and accommodation industries, the Fair Work Ombudsman has revealed. In an announcement yesterday (4 August), Ombudsman Natalie James said that a total of 43 enforceable undertakings were executed during this financial year, an increase of one from the year before. 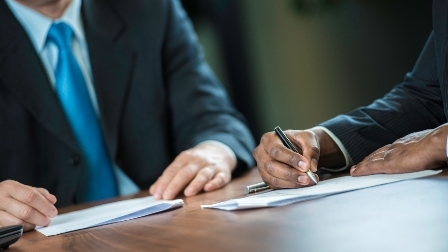 Introduced in 2009, enforceable undertakings are legally binding agreements where firms commit to improving workplace practices and closing up any workplace law breaches. This allows the Ombudsman to push for corporate improvements without the need for civil court action. "We use enforceable undertakings where we have formed a view that a breach of the law has occurred, but where the employer has acknowledged this, accepted responsibility and agreed to co-operate and fix the problem," James said. One in five enforceable undertakings signed in the past two financial years came from cafes and restaurants, the Ombudsman said, while 19% came from the take-away food sector. In the last financial year, $3.85m in unpaid wages and entitlements was returned to more than 2,100 employees as a result of these enforceable undertakings, she added. Furthermore, 12 employers were ordered to donate a total of $71,500 to seven organisations to promote workplace rights. "We all have a part to play in compliance. There are many opportunities for us as employers, employees, government agencies and workplace advisers to draw on our mutual interests to see employers do the right thing, avoid a nasty back-payment bill, ensure a level playing field for all business and to build a culture of compliance,” James said. What is an enforceable undertaking and how does it work?